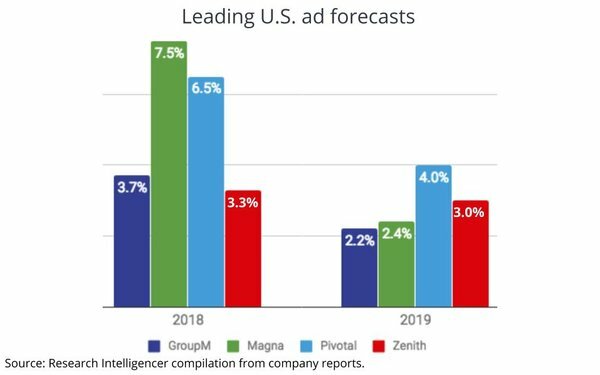 The average of the Big 3 -- WPP’s GroupM, IPG Mediabrands’ Magna, and Publicis’ Zenith -- would be a 4.1% expansion of global ad spending over 2018, which grew 5.3% over 2017. 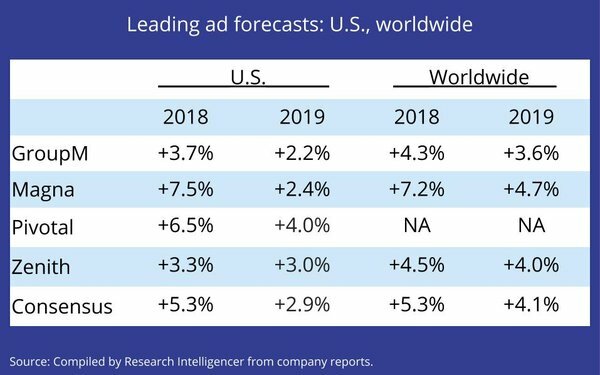 The global ad outlooks lost a little steam from previous tracking at GroupM, which downgraded its initial 2019 outlook by three-tenths of a point, and Zenith, which took it down two-tenths of a point. “This seems consistent with a macro outlook that remains firm, but fraying into 2019,” GroupM contends in its just-released December 2018 update to its global ad-spending report. 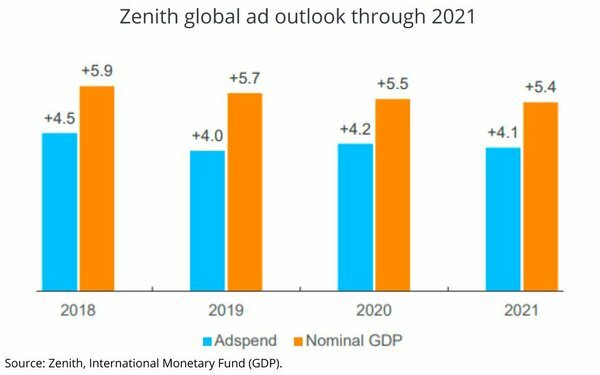 “We expect advertising expenditure to grow behind the global economy as a whole throughout our forecast period,” Zenith Head of Forecasting and Director of Global Intelligence Jonathan Barnard predicts in his updated outlooks running through 2021. Magna’s bottoms-up economic modeling approach yields the highest 2018 estimate (up 7.2%) vs. more tepid expansions from GroupM (4.3%) and Zenith (4.5%). 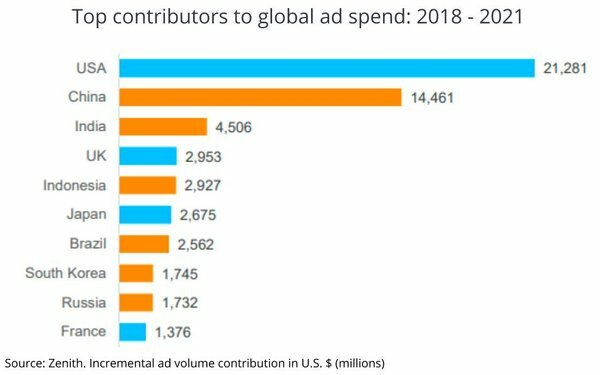 The consensus for the U.S. -- the world’s largest ad market and still the biggest contributor in volume to the global ad expansion -- matches global ad growth in 2018, when including a fourth recognized ad forecaster’s (Pivotal Research Group’s Brian Wieser) estimates. But the outlook for the 2019 growth is more tepid -- +2.9% -- than the global forecast, owing to the loss of 2018’s extra political campaign stimuli, as well as other factors.